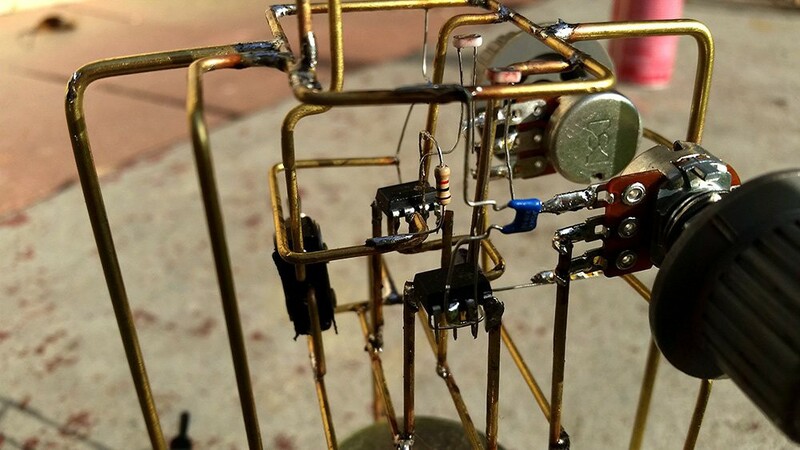 For his entry into the Circuit Sculpture Contest, [Robson Couto] has built a simple robot which dumps the traditional chassis for a frame made out of bent and soldered copper wire. 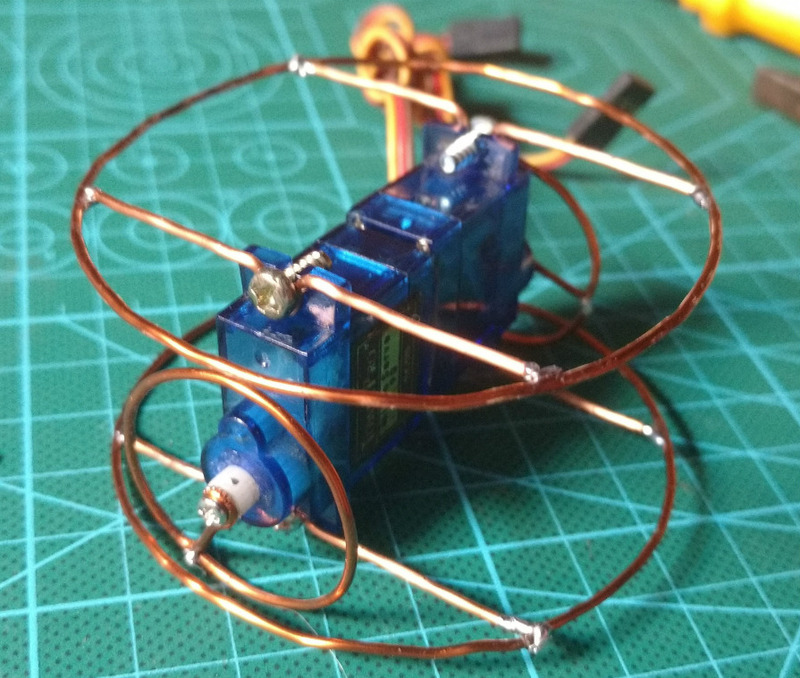 Not only does this happen to look really cool in a Steampunk kind of way, it’s also a very cheap way of knocking together a basic bot with just the parts you have on hand. Not exactly a heavy-duty chassis, to be sure, but certainly robust enough to rove around your workbench. The dual servos constrained within the wire frame have been modified for continuous rotation, which combined with the narrow track should make for a fairly maneuverable little bot. [Robson] equipped his servos with copper wheels built in the same style of the frame, which likely isn’t great for traction but really does help sell the overall look. If you aren’t planning on entering your creation into a contest that focuses on unique construction, we’d suggest some more traditional wheels for best results. The brains of this bot are provided by an ATmega8 with external 16MHz crystal tacked onto the pins. There’s also a ultrasonic sensor board mounted to the servos which eventually will give this little fellow the ability to avoid obstacles. Of course, it doesn’t take a robotics expert to realize there’s currently no onboard power supply in the design. 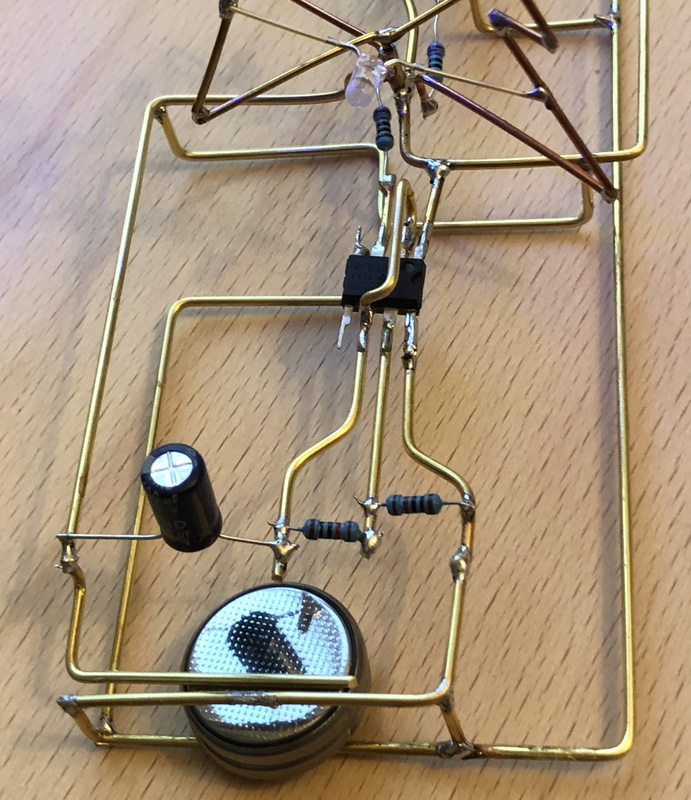 We’d love to say that he’s planning on using the copper loops of the frame to power the thing via induction, but we imagine [Robson] is still fiddling around with the best way to get juice into his wireframe creation before the Contest deadline. 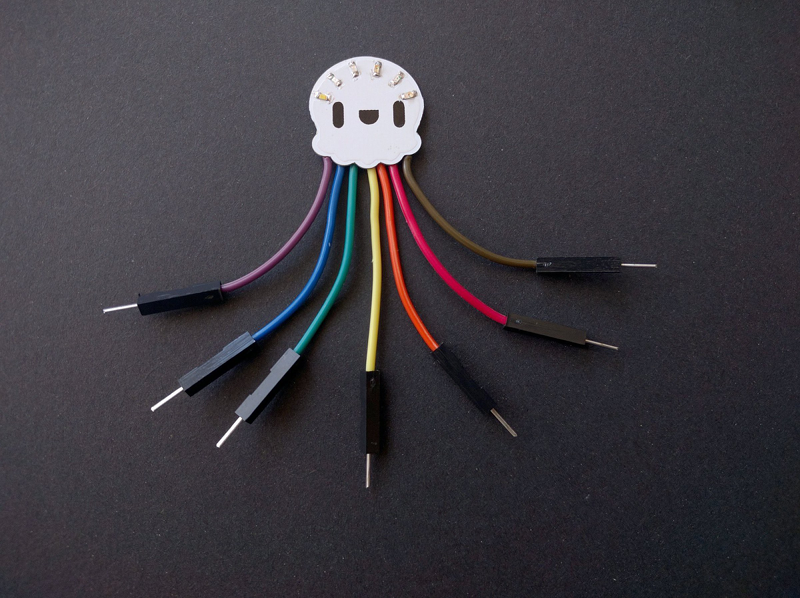 Speaking of which, there’s still plenty of time to get your own Circuit Sculpture creation submitted. If it’s a functional device that isn’t scared to show off the goods, we’re interested in seeing it. Just document the project on Hackaday.io and submit it to the contest before the January 8th, 2019 deadline. It was hard to pick, but there can only be one grand prize winner. This time around that honor goes to [Danny FR] for a very small smart motor driver for robotics. The little board takes an I2C link to a microcontroller and does PID control with RPM feedback. No need for an H-bridge or any sophisticated control electronics — that’s all onboard. The board is a great fit for a motor and makes it easy to build moving projects. That was the grand prize, but there were some other great entries that won in specific categories, too. The high-speed reading of the lasers uses “Programmable Peripheral Interconnect” — a feature of a Nordic BLE microcontroller that lets the chip read timestamps in hardware without interrupting the processor. The little boards hook up to a hub board which is also pretty small. We’re hackers, so we think a few bare PCBs connected to another PCB can be artistic. But most people have something different in mind. If you hang out at Hackaday.io much, you’ll recognize [ꝺeshipu] and his entry was one of those things that you immediately know you could use, but also brings a little smile to your face when you use it. How often do you need to plug some LEDs into a breadboard? Why not do it with a Rainbow Jellyfish? The circuit operation should be obvious. We really liked the color-coded wiring. You could probably use at least two of these so they could keep each other company. You could probably even use this as part of a badge. Speaking of badges, [nwmaker] built a badge that looks like another animal — an owl called PurpleSnowy. Again, the circuit is simple enough, but what caught our eye on this project was how well the social media promotion of it was. Maybe cute owls are just easier to go viral, but we liked it. [Kris Winer] (remember that name), built a very high-tech spectrometer project. Not only was it small in size, but at $25 it was also small in price. The project used the AMS AS7265X 3-chip set to provide an 18 channel, 20 nm FWHM spectrometer. The documentation was very well done and we were impressed with the fitment of the chips on the board. We had so many great entries that it was hard to pick so we named several runners-up. [Greg Davill’s] Bosun frame grabber that uses an FPGA to capture images from a FLIR Boson camera. [Kris Winer’s] high-tech $25 spectrometer project (from above) was also runner-up, and [Kris] was also recognized for sensors that can smell and hear. 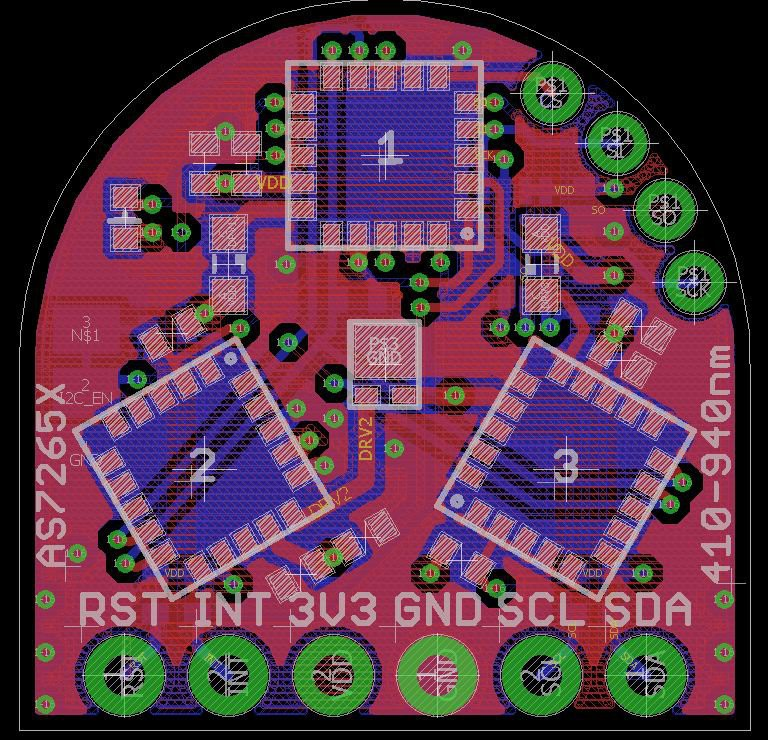 If you want something less science-related, the Rotovis-Mod1 by [zakqwy] makes it easier to build persistence of vision displays. Of course, as hackers, we love an oscilloscope and [Mark Omo’s] 20 msps scope that fits in one inch caught our imagination for making some really cool instrument panels. You really should look at all the entries — they were amazing. [Kris] really went all out, taking two runner up slots and the best documentation prize. Speaking of prizes, The grand prize was $500, and the other prizes received $100 Tindie gift certificates. Thanks to OSH Park, the runner ups also got $100 OSH Park gift cards — that’s a lot of one inch PCBs. Will this be our last inch square contest? The magic 8 ball says probably not, so don’t stop thinking small and look for your chance to enter your design in the next contest.